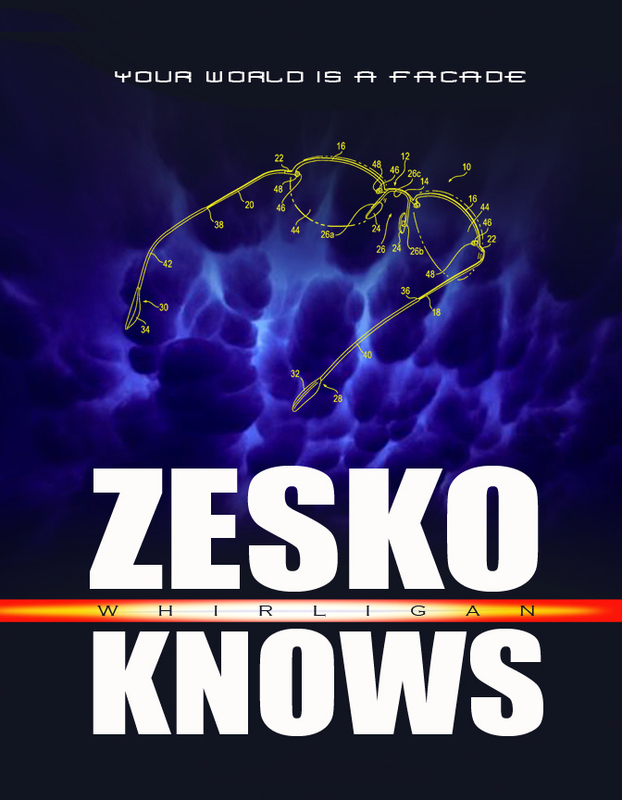 Zesko Knows: THE HUMAN BRAIN: COSMIC COMMUNICATIONS TERMINAL? THE HUMAN BRAIN: COSMIC COMMUNICATIONS TERMINAL? I have the utmost respect for the Human brain, and brains in general. See, the computing power of the Human brain is only one small facet of what the brain does. A computer may emulate the computing power of the Human brain, but a computer can NEVER hope to become a REAL Human brain. The Human brain is so much more than a lowly computer. Judging by what I've learned and what I KNOW, I would say that ALL brains are Quantum Antennae. There is something so exquisitely delicate and sensitive about the Brain that it DOES receive information from other intelligences in the Universe. In fact, I won't be surprised when it's discovered that Quantum Communications between intelligent species is commonplace in the Universe. Instantaneous communications from one end of the Universe to the other would eliminate the necessity for starships and warp engines and all that nonsense. I mean, if you have sufficient information, you needn't even leave home. Right? In the same way the Internet is eliminating the necessity to commute to work. If we regard our Quantum Antennae as a Cosmic communications system, then all sorts of things start making sense. Clairvoyance, psychic ability, ghostly apparitions are all products of our Quantum Antennae picking up information across Space and Time, beyond our familiar four dimensions. I mean, we may see a moment from the Past replay before our eyes and call it a Ghost. We may see a moment from the Future and we're called Visionaries. All Humans have Quantum Antennae, but so do all living things. There's a constant jabber of quantum communications all around us, all the time. Some of us listen to it and prosper, utilizing the information and inspiration from unearthly sources; others of us may think they are hearing voices (and they certainly are), and are labeled psychotic. Isn't that interesting? One of the first things they ask you on any medical questionnaire is "Do You Hear Voices"? It's a very common malady, apparently. But hearing voices and even seeing things is NOT necessarily an indication that you're crazy, okay? Even staid and solid scientists hear voices and see things and can still function as scientists, right? I mean, the mathematician John Forbes Nash Jr was a genius but was hounded by people that only he could see and hear. He finally convinced himself that the intruders were figments of his imagination, and he simply IGNORED them for the rest of his life. They didn't go away, he just ignored them. Well, those "people" really exist. They're sentient beings that communicate through the Quantum aether... They're not Human, but, coming through the filter of a Human brain, they are going to SOUND and APPEAR Human. Make no mistake, we ARE in contact with intelligences from all over the Universe. We exchange ideas all the time. Ever notice how several unrelated people will come up with the same invention or idea at the same time? It's the so-called "Ah-Ha Phenomenon"... I know some of you have had the weird experience of coming up with a bright idea, not doing anything with the idea, and then SEEING the idea manifest into reality by somebody else's hand, months or years later. That's a Quantum Wave of Creativity passing through our Solar System, and a few people with the right frequency Quantum Antennae pick up the data. Most of us won't act, but a few of the receivers ACT on the received information. So we get people going "Ah-Ha!" at different points all over the globe simultaneously, coming up with the same idea. Happens all the time. It's a perfect example of information exchange across intergalactic distances. See, we don't need the SETI Project searching for transmissions within a few very narrow radio bands. There IS a kind of subspace communications system that defies Time and Space; and, if you have a brain, you're already plugged into that system. The Universe, essentially, has been sending a deluge of signals for billions of years, and your BRAIN is a transceiver. LIFE: GOD'S REMOTE OPERATED VEHICLE?